DETROIT, Michigan - A meteor caused a 2.0 magnitude earthquake Tuesday night just northwest of Detroit, Michigan. 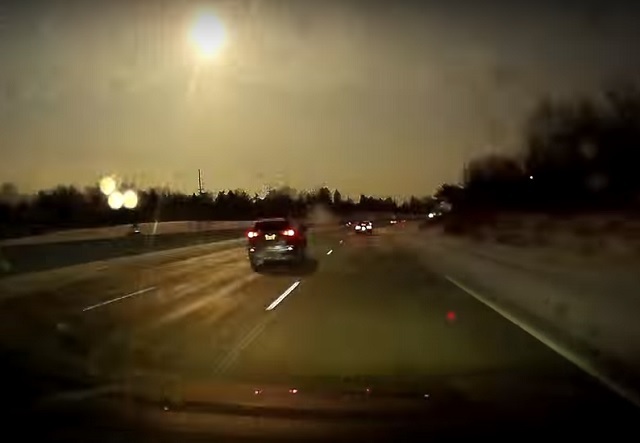 NASA and the Detroit National Weather Service confirmed that a bright fireball which streaked over Michigan skies just after 8 p.m. Eastern Time was indeed a meteor. "After reviewing several observational datasets, the NWS can confirm the flash and boom was NOT thunder or lightning, but instead a likely meteor," NWS Detroit stated on Twitter. 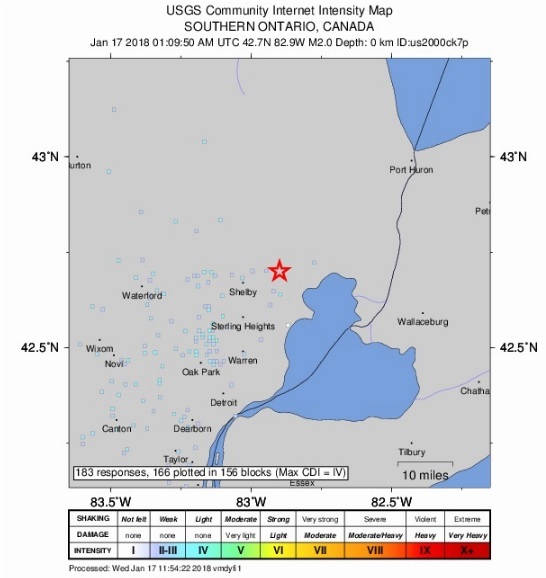 Later in the night, the U.S. Geological Survey confirmed that the impact of the shooting star caused a 2.0 magnitude earthquake with its epicenter about 40 miles northeast of Detroit near New Haven, Michigan.